A San Diego traffic court has thrown out the case against a woman who authorities said was driving while wearing Google Glass. Commissioner John Blair ruled that Cecilia Abadie was not guilty because the code she was cited for required proof that the device was in operation. Blair found there was no proof beyond a reasonable doubt. Abadie, a software developer, said she was among 30,000 people called "explorers" selected to try out Google Glass before the technology goes on sale. The device on a frame worn like glasses features a thumbnail-size transparent display above the right eye. The frames are equipped with a camera, a display and a computer that responds to voice commands. 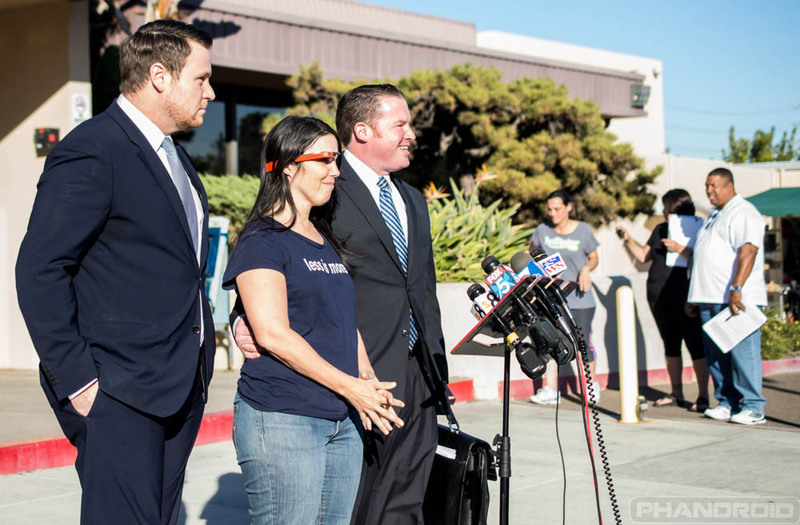 Abadie was pulled over in October on a San Diego freeway when the officer saw she was wearing Google Glass. Lawmakers in at least three US states – Delaware, New Jersey and West Virginia – are moving to bring in new laws against driving with Google Glass but in Abadie's case she was ticketed under laws that ban having a video or TV screen switched on in the front of a moving vehicle. Abadie had pleaded not guilty to both charges in the San Diego traffic court. Her attorney, William Concidine, previously said the device had not been activated when she was driving. The California highway patrol argued anything taking a driver's attention from the road was dangerous.